While the lakes in the north may be frozen over at this time of year, the fishing in the south is in full throttle. There’s a little secret that may not be exploitable on all lakes but on the ones that do have it, you can find yourself a honey hole. That secret is hydrilla, alive and green hydrilla to be exact. Live vegetation at this time of year can be very hard to find and many anglers ignore searching for it. Most anglers will be looking for deep drop-offs or searching for spawning fish if they’re in Florida. 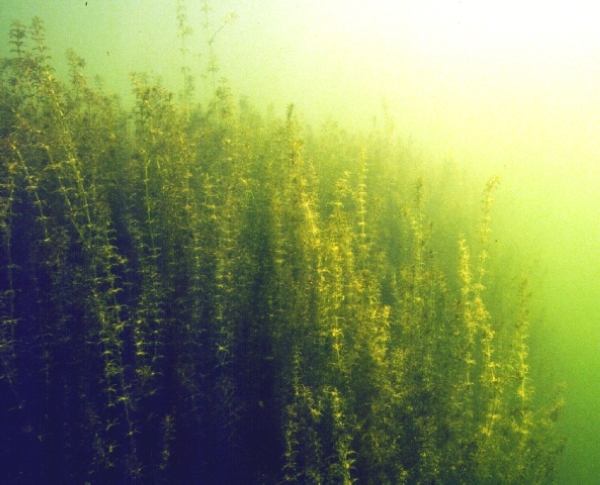 But some of the best fishing may still be out on the deeper hydrilla or milfoil that is surviving the cold, where the fish will stack up on whatever vegetation they can find. This holds true even in Florida where the Kissimmee grass fields and reeds survive throughout the winter, the bass will still center around what hydrilla is left. A perfect example of this is one of our most recent guide trips we did on Lake Toho, while everyone else was stacked up on spawning flats we were able to locate some deeper hydrilla that was still green and alive. After just a few minutes of ticking the tops of the hydrilla with swimbaits and speed worms the action started and we had our first fish. We caught around 15 fish with close to half being in the 4-6 pound range! Lake Toho bass fishing is on fire right now. It doesn’t get much better than that! Reeling the baits nice and slow, ticking the tops of the hydrilla about a foot or two down was the key. Another key bait that landed us some fish was a fluke jerked across the top of the submerged vegetation. So if you live in the south or are planning a trip down here and you happen along some hydrilla or milfoil that’s still kicking don’t hesitate to tie on a swimbait, speed worm, or fluke and work it all through it. Because you may have just found yourself the best spot on the lake. AJ, you seem to be a great webmaster and talented writer. Really enjoying following Orlando Bass Guide these days. Thanks Laurie, I really appreciate it!